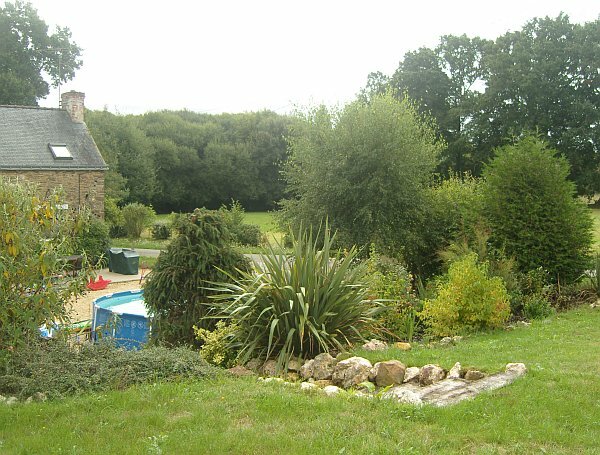 Les Vallees Brittany Gite is situated in a roughly half-acre L shaped enclosed garden, surrounded by the fields and woods of this beautiful part of rural Brittany. 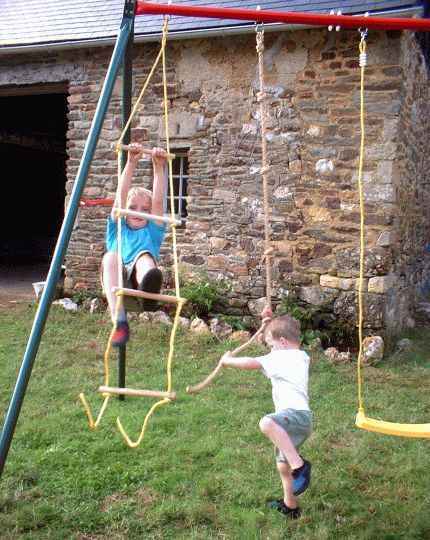 The Gite itself is L shaped with a floodlit gravelled courtyard between the two 'wings' of the Gite and a large open barn on the opposite side. There's plenty of parking space on the courtyard or inside the barn. 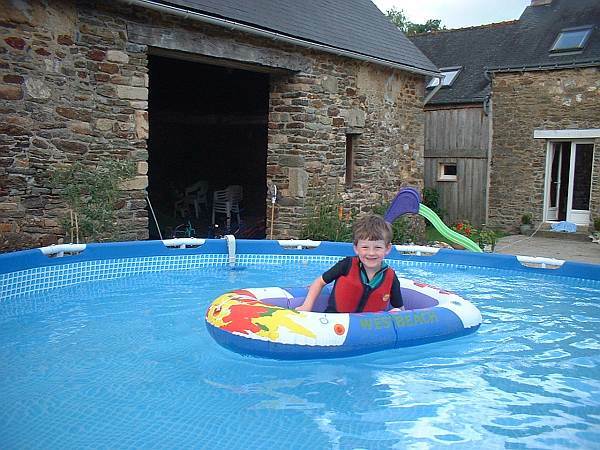 We've a large patio stretching the length of one side of the house overlooking the garden with sun-loungers, table & chairs and a BBQ - perfect for lazing about and enjoying the peace and tranquillity of rural Brittany! 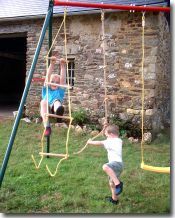 Beyond the gite and the barn are two large grassed gardens with apple trees and redcurrant bushes, a massive oak tree that must be over a hundred years old, and flower and shrub beds. 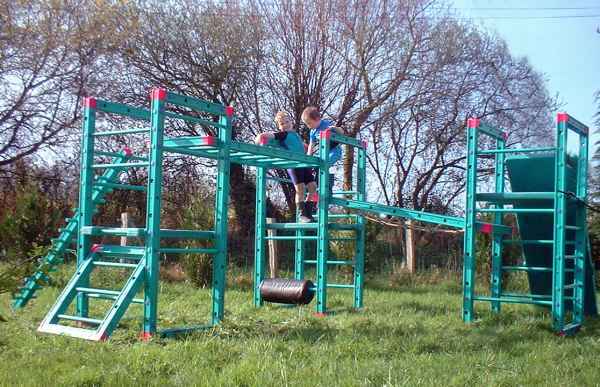 For the children, there's plenty of holiday toys with a climbing frame and swings, a 15 foot outdoor splash pool, a 10 foot outdoor trampoline, a slide, see-saw, and a large selection of toys and bikes.